Dan Vogt grew up in St. Charles Borromeo Parish in St. Charles, attended the parish grade school, Chaminade College Prep (Class of 1974) and St. Louis University, graduating with a degree in accounting. He passed the CPA exam and worked as an external auditor. He was pretty much living the American dream — a good education, a good-paying job and all sorts of material things within his grasp. He’s living a different dream now — one he enjoys very much — that involves serving the poor and following in the footsteps of a martyred priest whose cause for beatification was approved by the Vatican last year. After a period of discernment, now-Father Vogt entered the Claretian Missionaries in Chicago with the idea of one day being assigned to their mission in Guatemala. He arrived in Guatemala in August 1987 for what he thought would be a one-year mission experience. It turned into a 30-plus-year commitment. 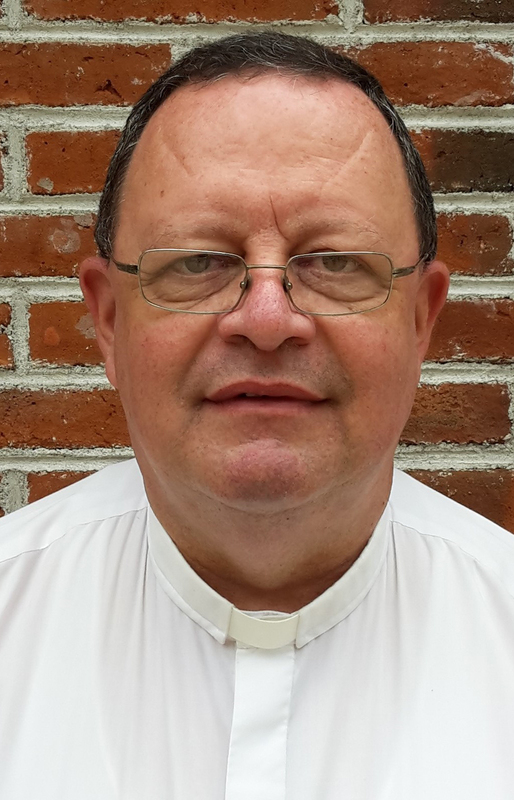 He was ordained a deacon in Guatemala and a Claretian priest in 1989, then became incardinated into the diocesan clergy of the Apostolic Vicariate of Izabal in 2006. Father Vogt now is pastor of San José Parish in Morales in the eastern part of Guatemala. Father Tulio Maruzzo was an Italian Franciscan priest who came to Guatemala in 1960. 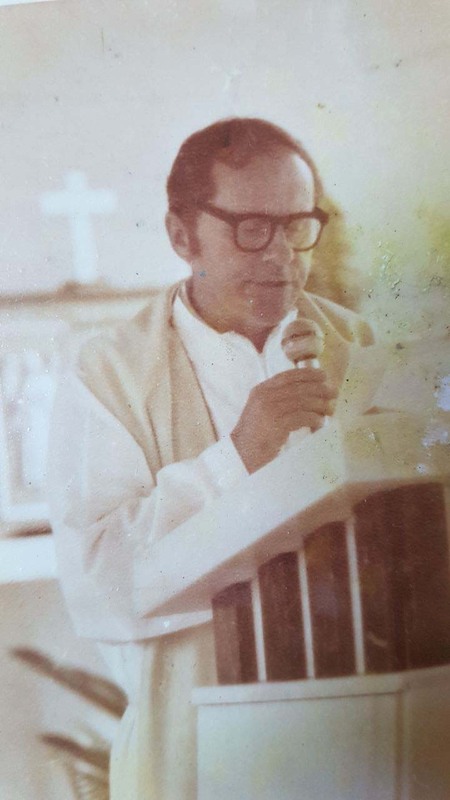 He was named the first pastor of San José Parish in Morales in 1968, where Father Vogt currently serves as pastor. Father Maruzzo served the parish for 12 years, building the parish church and embarking on several social programs to serve the local population. “In the context of the Guatemalan civil war that lasted from 1960-96, social work with poor people was often viewed as subversive to the entrenched local interests that have historically exploited the poor,” Father Vogt stated. Father Maruzzo was threatened many times, and his superiors reassigned him to a nearby parish in 1980. After a few months, he was gunned down along with a lay pastoral aide, Luis Obdulio Arroyo Navarro, in 1981. Tentatively they will be beatified in Guatemala in October this year. “When I was assigned to become the pastor of San José Parish in 2007, I was faced with a daunting responsibility. Following the footprints of a martyr is not easy. Although the civil war is over, our area is notoriously violent with large agro industries and narco traffickers being key actors,” Father Vogt explained. Father Rother, a priest of the Oklahoma City Archdiocese, refused to abandon the community he so loved in the Guatamala highlands from 1968 until his 1981 assassination. He was beatified in August. Along with friends and family, Father Vogt established Qeqchi Partners as an instrument to fund social projects in Guatemala. The name “Qeqchi” refers to the Qeqchi Mayan native people who make up about a third of the area’s population. Most live in rural poverty as subsistence farmers, often lacking basic services such as running water and electricity. Current efforts are aimed at providing clean drinking water. The past six years, the partnership built and installed more than 2,000 biosand water filters in rural homes. The filters, offered to families at a nominal cost, are efficient, low cost and require almost no maintenance. Most of the organization’s fundraising efforts seek support for the program, which also includes basic health and hygiene education. A second area of work is training business and organizations personnel who work with local indigenous population. Father Vogt wrote a book that is now in a second edition that explains Mayan culture and history along with cultural tips to help avoid making serious mistakes or miscommunications with local communities. Father Vogt’s apostolic vicariate and Qeqchi Partners appeal to St. Louis parishioners for help through the Archdiocesan Missionary Cooperation. St. Charles Borromeo welcomes him to speak about his work and request support. Other parishes in St. Charles County have done the same. The St. Joseph Mission Outreach from St. Joseph Parish in Josephville visits Guatemala yearly and serves the people in Father Vogt’s community with medical assistance and other outreach. The Qeqchi Partners, Inc. is a nonprofit organization formed to promote awareness of the Maya Qeqchi people and culture in Guatemala. The purpose is to assist in the preservation of the Maya Qeqchi heritage, language, rights and well-being. Its programs help people develop sustainable solutions to overcome centuries of extreme poverty. The efforts address health and education inequalities in the region, such as high infant and maternal deaths, chronic malnutrition and lack of access to running water, electricity and modern sanitary facilities. More than 2 million children in rural areas are unable to attend school. Biosand water filters have brought clean water to hundreds of rural families in eastern Guatemala. The technology provides a low-maintenance, low-cost, nonchemical, no-power and durable solution to the lack of clean drinking water. Deacon David Billing of St. Joseph Parish in Josephville has visited several times and speaks highly of the filters, made with local materials and labor. “It has such potential to prevent disease,” he said. Guatemala’s large indigenous population is disproportionately affected in areas of health and development. The country’s complex topography (it is roughly two-thirds mountains), its 24 languages, and a disenfranchised indigenous population significantly complicate efforts to expand health and education services. • Pay securely by credit card using PayPal. Visit www.stlouisreview.com/jPU. • Mail a check payable to Qeqchi Parners, Inc. to Qeqchi Partners, 408 Dickson Ave., Pittsburgh, PA 15202. St. Joseph Parish in Josephville sponsors a medical mission to the community in Guatemala and is seeking doctors, nurses and dentists to volunteer on the trip. Deacon Billing and his wife, Chris, organize the trip. For information, contact Deacon Billing at the parish, (636) 332-6676.